Following the success of the poster competition at G4J15, and the high quality of submissions that were received, we will be repeating the event at G4J16. Successful authors will have their poster displayed at the conference, with the top projects receiving the ‘Kate Granger Prize’ for dedication to improving standards of care for older patients. 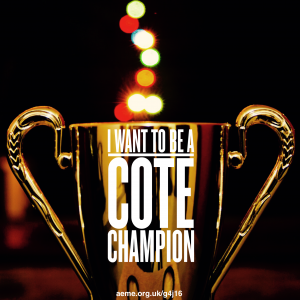 Winners will be declared our 2016 ‘CotE Champions’.